For more information about the Nurse Residency Program or applying for Student Nurse Associate, Graduate Nurse, or Clinical Nurse I roles at Covenant Health, please contact Rebecca Dotson, Social Media Recruiter, by email at rdotson1@covhlth.com . Our program enhances competency in three core areas: leadership, patient outcomes and professional roles. Facilitated by expert nurses, the program places special emphasis on competence and confidence in decision making, satisfaction and professional commitment, leadership and critical thinking skills, relationship building, efficiency and safety on the floor, and quality of care. Needed support from hospital leaders, peers and NRP coordinator, Sara Meadows, MA, RN. A promotion and raise after one year of full-time employment. Opportunities to volunteer in the community. Clinical autonomy at the point of patient care. Residents begin the program together in cohorts three times per year based on NCLEX test dates (July, October, and February). Students should begin applying at the start of your final semester in nursing school. A Clinical Nurse I’s cohort is decided by his or her start date. Travel to various Covenant Health locations in Tennessee may be required (see FAQ for details). Regular full-time (72 hours per pay period) are eligible for Covenant Medical Plans and CTO, in addition to a host of elective benefits. Part-time employees are eligible for certain elective benefits. Read more about Covenant Health Benefits: https://www.covenantcareers.com/benefits/. Commit to your unit or area of hire for 1-year. Actively participate in an evidence-based project development and presentation. Do I have a specific unit? Yes, participants interview for a specific unit and once hired are placed with a clinical coach from that area. How often do I attend sessions? New nurses attend the NRP monthly for the first year. These paid four hour sessions are a part of the participant’s work schedule. Do I have to apply for both a nursing position and the Nurse Residency Program? No. Our Clinical Nurse I new hires are automatically enrolled in the next cohort of the program. 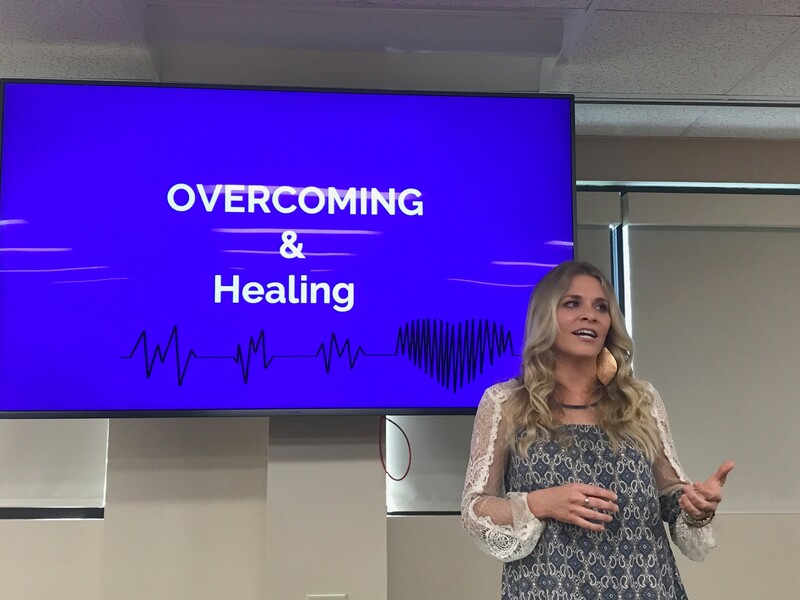 Emily-Anne Buck came and spoke to the nurse residents in our April seminar about the important role nurses play in offering hope to victims of domestic violence. Her compelling personal story really connected and gave insight to how healthcare providers can empathize and assist people going through these difficult situations. More information can be found at www.emilyannebuck.com! Sara Borges launched the Nurse Residency Program at Covenant Health in 2016. 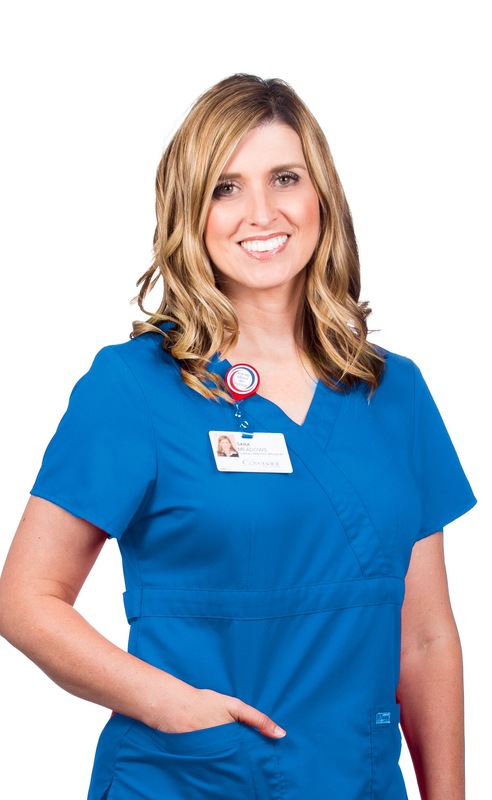 She has been with the system her entire career where she has served in multiple roles ranging from Inpatient Nurse to Nurse Educator to Nurse Manager. She now helps transition new graduate nurses in their first year of practice. Sara is passionate about equipping them to handle the challenges of a hospital environment. Outside of her time at Covenant Health, Sara enjoys participating in health care mission trips.